Do you own an e-commerce website? Would you like to know how to grow sales? Today, digital shopping has become a huge trend. It is convenient and inexpensive for both the sellers and the buyers. E-commerce websites eliminate the need to have a physical retail space, which translates to huge savings for a seller. E-commerce also enables you to reach a wider population, while allowing for targeting exact demographics. However, when relying on a website as the core of your business, it becomes that much more important to make sure it is effective - both content-wise and marketing strategy-wise. E-commerce marketing is a comprehensive strategy to bring shoppers to your e-commerce site. The goals of e-commerce marketing are to bring more visitors to the site, encourage conversion of a visitor into a customer and to ensure that the customers come back to your site. 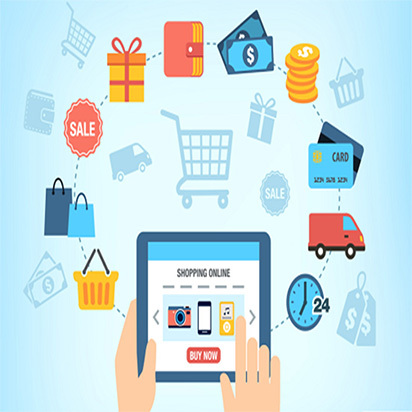 E-Commerce marketing to bring visitors to the site: These include strategies like Search Engine Optimization (SEO), search advertising (Pay per Click), display advertising on all major platforms, and having stories about the site, its products and services on reputed publishing sites. E-Commerce marketing to convert visitor into customer: The first thing to ensure is a stellar user experience. Next, strategies such as coupons and discounts, testimonials, email marketing and promotions on the site itself are used to achieve conversions. 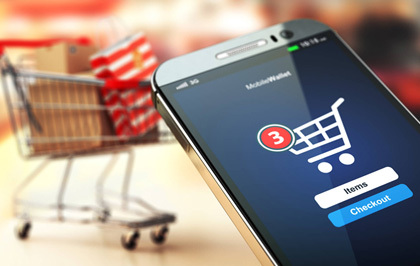 E-Commerce marketing to bring in repeat customers: A good user experience is primary here, both for the website and for the product/service being offered. Pricing also plays an important role. The aim here is to build a relationship with the customer so that each customer purchases more. Email marketing is an effective method of building relationships and ensuring marketing after the sale is made. Is very inexpensive, compared to traditional marketing channels. Helps build relationships with users so that they grow your business by repeat visits as well as bring in new visitors through word of mouth. Increases the credibility of your brand. Optimize and enrich the user experience of your website using web analytics and testing. Make sure the content on your website is compelling. Analyze issues such as cart abandonment and high bounce rates. Launch other methods to boost your rankings such as blogs, social media marketing, promotional campaigns. Create search and display advertising campaigns. Build a solid email marketing campaign. Monitor and track pre-decided metrics to determine the impact and success of the marketing plan.